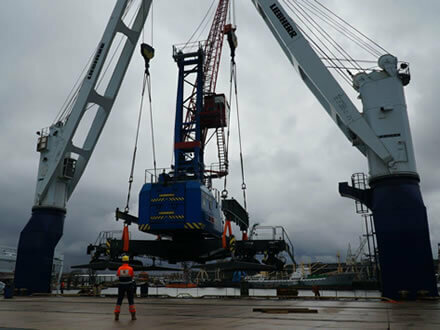 Global Seatrade is a shipping company specialised in the overseas transportation of windmills, offshore equipment and small heavy lifts up to 240 tonnes. The management of Global Seatrade counts former masters of Heavy Lift vessels with extensive experience in the industry. They are closely involved in cargo operations and assist in ports where and when required. The crew and employees of Global Seatrade are key for the no nonsense mentality that reflects from Global Seatrade. 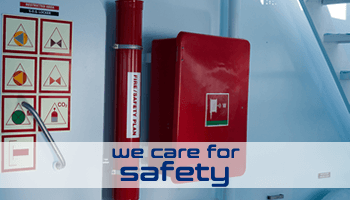 Almost twenty years of experience in the lifting, transporting and securing of project cargoes is our foundation for safe movements and satisfied clients. We focus on delivering extraordinary value in the project cargo segment, solving logistical challenges for customers with competition-beating lowest costs, but without reducing in quality and safety. We achieve this through in-house design and build of the innovating vessels we operate. At Global Seatrade your logistical challenge will be solved by well experienced masters and staff. During the process we always keep track of your requirements. Our solutions are supported by extensive transport, lashing and lifting operation plans. We provide accurate stability and strength calculations with our specialised software. We always try to achieve what is best for you as our client.